Our approach to therapy is truly state-of-the-art, and we provide the finest in therapists, equipment and services. Our therapy room is large and clean, well-lit and welcoming. We’ll design a therapy program that is tailored to get you up, around, and functioning at the highest level possible. 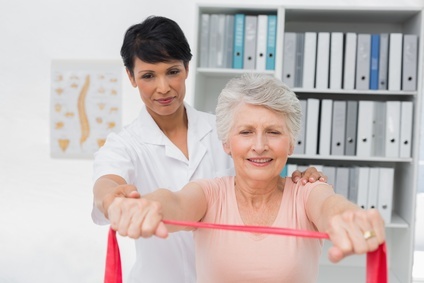 It’s our goal to get you back in the swing of things, and we employ a variety of high-tech and (good old-fashioned) hands-on therapeutic approaches that we believe will work wonders for you! The therapy staff is part of the “bricks and mortar” of Downey Post Acute, and our therapists take pride in the performance of the therapy department as well as the entire facility. We understand each patient has unique and special needs, so our in-house therapy program is completely customizable to meet them. This is a collaborative effort among our team members, who work with your physician to create a unique vision and treatment plan for you. We can even provide specialized equipment to aid in your treatment. We have a full-time in-house therapy team – not outside contractors or agencies – so our patients get to know their therapists, and vice-versa. Having the same therapy team working with you every day is a big plus, and we always seek to achieve just the right “match” between patient and therapist, for optimal results and comfort. Our therapists receive education and training to other disciplines, to ensure the continuity of care between therapy and nursing. 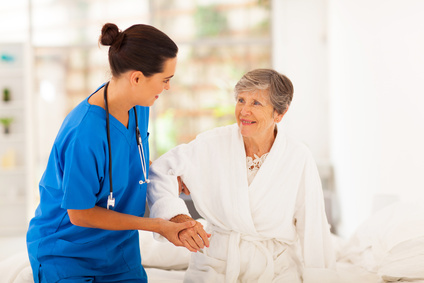 At Downey Post Acute Care Center, we work together with one goal in mind: your comfort and health. Our therapy team is passionate about bringing the latest techniques and programs to our patients. Through continuing education, our physical and occupational therapists apply the latest research to improve balance and reduce fall-risk. 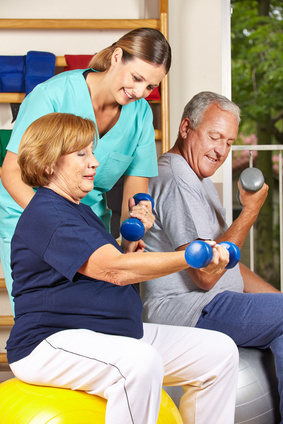 They also utilize therapeutic modalities combined with a comprehensive therapy program for strengthening, balance training, pain reduction, wound-healing, urinary incontinence, and increasing range of motion. At the heart of our therapy programs is a deep appreciation for, and understanding of, the special needs of our more mature patients. This goes beyond the science and research in order to tap into the art of caring for these unique needs. 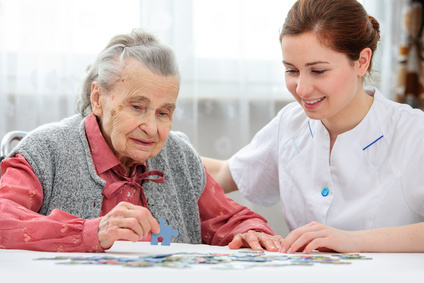 Our integrated cognitive program combines a standardized functional cognitive assessment with our patients’ “life footprint” to help us develop a comprehensive understanding of each individual under our care. After assessing the patient’s functional cognitive level, we overlay this assessment with a comprehensive “background inventory” that includes relevant details of the patient’s daily life. By matching these two data sets in a meaningful way, we can better tailor individualized therapy programs to the patient’s unique needs. We can also reduce the stress and anxiety of being in a new place for either short-term rehabilitation or a permanent residence. The Integrated Cognitive Program is also instrumental in setting up the best care for our patients with Alzheimer’s Disease. We work with each patient, their family and their healthcare provider to determine the best care and treatment plan. When the goal is to return home, we explore every detail about our patient’s prior living arrangements. 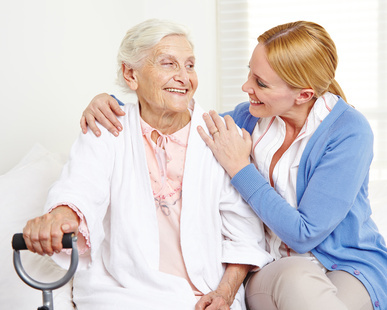 Family members are encouraged to participate in the care so that they can help their loved one prepare for discharge. 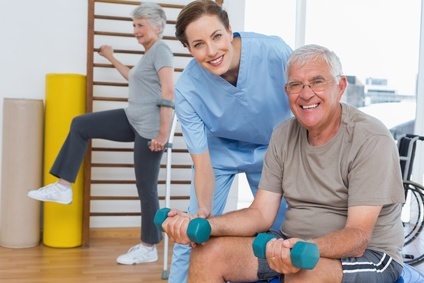 We frequently perform a “home assessment,” which we can use to develop a custom-designed rehab program that prepares our patients for any particular challenges they might experience once they get home. When the plan is to stay in our facility once the therapy program is complete, we make sure that we work side-by-side with our nursing staff so that our patients can continue to function at their highest possible level to preserve their independence and participation. We continue to do ongoing screenings after completion of their program to make sure that our patients are maintaining their abilities at the best possible level. Come and visit Downey Post Acute, and you’ll notice a definite difference: our caregivers are the best. You’ll meet a team of innovators — our nurses, therapists and other clinicians are professionals at the top of their games, who are genuinely committed, remarkably caring and wholeheartedly compassionate. More importantly, as the real leaders on the front lines of daily care, our caregivers have a true voice in the operation of their departments and the facility, and especially in the way they deliver care to their patients. Our leadership team treats our caregivers the same way we want them to treat our residents: with love, respect, and admiration for the wonderful people they are. This sense of family and caring permeates everything we do, and allows us to attract the most outstanding caregivers our community has to offer. Come and see if they can exceed your expectations! Staying connected with friends and loved ones has been shown to promote health and healing. To help, we provide high-speed wireless Internet access to all residents, family members and doctors. Our secure network allows residents to stay in touch with family members and friends through email or video conference. It also allows them to stay up-to-date on what is happening around the world by browsing the Internet. Visiting family members can also connect to work and email by using our free wireless access. In addition, back at their offices, doctors are able to access electronic medical information through our network to ensure that your loved one is getting the best possible care. Copyright © 2019 Downey Post Acute. All Rights Reserved.